What's the Price for the 2019 Nissan Pathfinder? How Many MPG Does the 2019 Nissan Pathfinder Get? What's New for the 2019 Nissan Pathfinder? 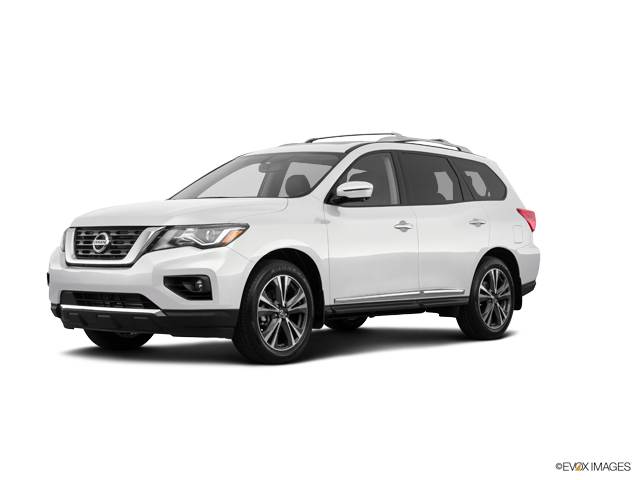 The 2019 Nissan Pathfinder has a mid-size body with three rows of seating for seven people. This family-friendly model runs on a V6 engine block that displaces 3.5 L during a complete combustion cycle. Direct injection gasoline (DIG) helps the six-cylinder engine whip out 284 horsepower and 259 pound-feet of peak torque. A variable induction system is synced with a multi-point fuel injection system in the naturally aspirated powertrain. This versatile Nissan crossover SUV could be equipped with the Intelligent 4WD system that's tuned for grass, gravel, snow, and mud. The Xtronic Continuously Variable Transmission works well with the 4x4 drivetrain and conventional 2WD. For its mid-size design, the 2019 Pathfinder has a fair towing capacity of 6,000 pounds. The all-new shock absorbers have the Dual Flow Path technology that's been extensively tested on various terrains. Some other mechanical features that optimize the vehicle's off-road attributes include the Hill Descent Control and Hill Start Assist. The power driver's seat in the 2019 Pathfinder is available with a 10-way adjustment and two-way lumbar section. A memory system stores your preferences for the driver's seat, steering wheel, and exterior side mirrors. The seats in the second row have the patented EZ Flex technology for hassle-free movement. You can also take advantage of the Latch and Glide function to adjust these split-folding bench seats. A reclining bench seat with a 50/50 configuration is set up in the third row. This Nissan crossover SUV is decorated with Piano Black, metallic and wooden trims. Stainless steel kick plates provide an extra touch of modern craftsmanship. An all-new infotainment system with the updated NissanConnect software is available in the 2019 Pathfinder. Amazon Alexa is now ready to serve you in the high-tech cockpit. Additional guidance is provided by Google Assistant, which is optimized for Android smartphones and tablets. A GPS navigation system is included in the 8.0-inch touchscreen. Three-year complimentary access to SiriusXM Travel Link and Traffic is available in the NissanConnect hub. You can also get a six-month trial to the Premium Plus package. Featuring 13 speakers, the Pathfinder's Bose sound system is enhanced by the all-new Acoustic WaveGuide technology. A tri-zone entertainment system gives the rear passengers plenty of other options in multimedia content. Dual 8.0-inch headrest monitors and wireless headphones allow the passengers in the second and third rows to watch their favorite DVDs and Blu-ray discs. When talking about the Pathfinder's safety features, the Automatic Emergency Braking deserves an honorable mention. This technology is smart enough to automatically engage the brakes when there's an elevated risk of a collision with another vehicle ahead. The Blind Spot Warning is another active safety feature that's installed in this reliable family car. Additionally, curtain side airbags with rollover sensors protect the occupants in every row. Contact our dealership for leasing and buying information on the 2019 Nissan Pathfinder. This mid-size crossover SUV is available in the S, SL, SV and Platinum trims. We'll help you add optional technology, safety and styling features to the model of your choice.